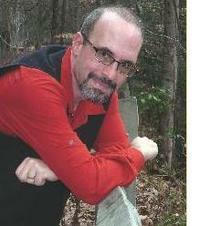 Dale Neal is the winner of the 2009 Novello Literary Award for his first novel, "Cow Across America." He has an MFA in creative writing from Warren Wilson College, and he has published his short stories and essays in Arts & Letters, Carolina Quarterly, Crescent Review, Marlboro Review and elswhere. One of the last surviving American journalists, he lives and works in Asheville with his wife, Cynthia, a veterinary technician student. When he's not at work on the next novel, he can be found out hiking the Mountains-to-Sea Trail in the beautiful Blue Ridge Mountains with his pet Lab, Pearl. Dale Neal said: " It's been a long while since I looked at Gardner, but he seems right on the money with his idea of fiction as a continous dream. " Salter is the master of the lyrical moment. One of my favorite writers. ...more "
We’d love your help. Let us know what’s wrong with this preview of The Hunters by James Salter. We’d love your help. Let us know what’s wrong with this preview of Burning the Days by James Salter. We’d love your help. Let us know what’s wrong with this preview of Solo Faces by James Salter. We’d love your help. Let us know what’s wrong with this preview of Last Night by James Salter. We’d love your help. Let us know what’s wrong with this preview of Dusk and Other Stories by James Salter.